We are pleased to recognize Mike Riley as our spotlighted Chase Oaks neighbor this month for his many years of service to our community. Mike and his lovely wife of thirty years, Sue, moved to 620 Mossycup Oak Drive in Chase Oaks in August of 1990. Mike served for two years as president of COHA in 1992 and 1993 and later served several years as Vice President. During this time, Mike was directly responsible for helping to acquire approval from the city for the installation of the speed bumps in the neighborhood to slow traffic and prevent needless accidents. His most recent contributions as Chairman of COHA’s Planning, Zoning, and Traffic Safety Committee have been especially valuable to our community. Mike’s talents and experience helped coordinate a couple of successful efforts regarding disputes with the city over zoning matters. The first win for the property values of Chase Oaks was the prevention of the issuance of a permit allowing the sale of “liquor by the drink” at the Mexican restaurant at the corner of Chase Oaks Boulevard and Legacy Drive. The second win for Chase Oaks involved the failure of a RV Sales and Service company to gain a zoning change to operate its business across the street from the Chase Oaks front entrance. In both instances, Mike’s persuasive efforts led the Plano City Council to agree with COHA’s positions, despite recommendations to the contrary directly from the Plano Planning & Zoning Commission. 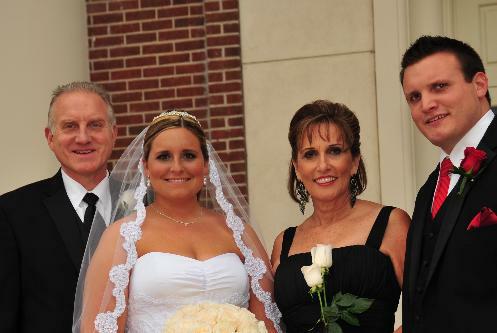 Sue and Mike just celebrated the October wedding of their daughter, Jessica, who lives in Wichita Falls. They are making plans to celebrate the graduation of their son, Christopher, from Midwestern University in May. Many of you may remember Chris who had a successful lawn mowing service in the neighborhood during the summers while he was in high school. You can send your notes of congratulations and appreciation directly to Mike and Sue at suekriley@verizon.net . On behalf of all of the homeowners whose property values have remained high due to the efforts of neighbors like Mike, we are proud to have Mike Riley and his family as neighbors in Chase Oaks. Thank you for all of your valued contributions over the last twenty years.